Here's a layout I made for a PageMaps sketch challenge using the April main kit from My Creative Scrapbook. 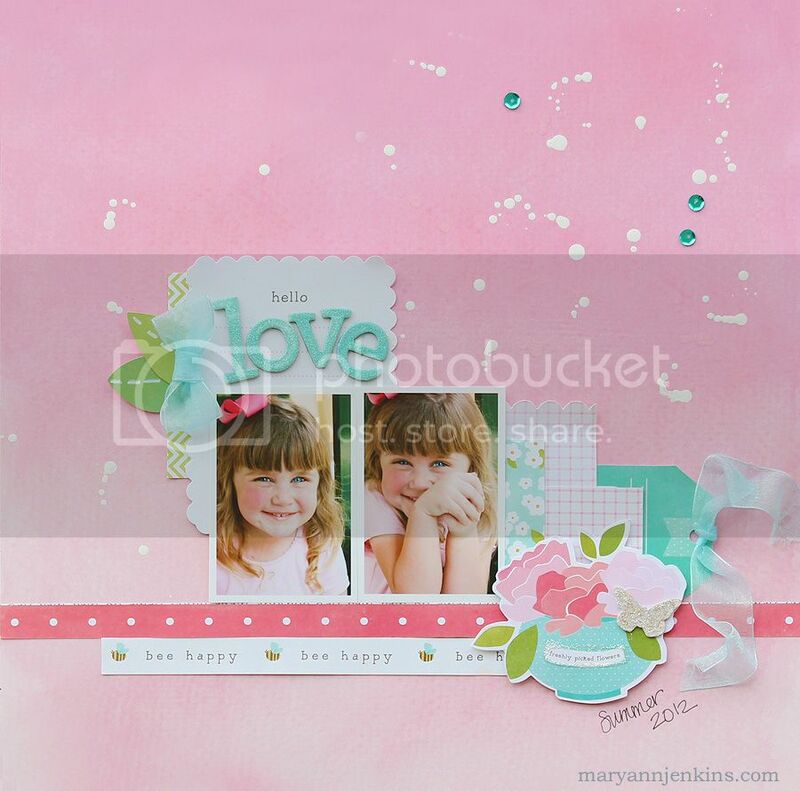 My Creative Scrapbook is sponsoring the challenge, and is offering a great prize package of one of their monthly kits!!! For your chance to win this awesome kit, create a layout based on the sketch using any products you'd like. Your layout must include at least one photo, a title and journaling. To enter, add a comment to this post over at PageMaps with a link to your layout. This contest ends at midnight (MST) on Sunday, April 20th, and is open to everyone, everywhere! So beautiful. Love your sketch version and the color scheme. Your dd is so cute in those photos.